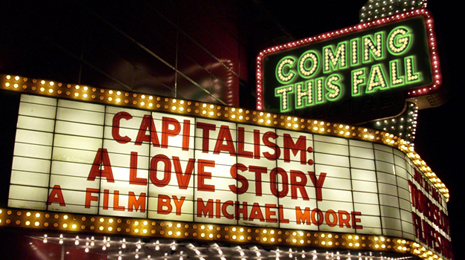 The London Film Festival Surprise Film finally came and went last night and despite the hopes and prayers of millions for WTWTA, we were instead treated to Michael Moore’s Capitalism: A Love Story. It’s a bad film. Quite bad. But worse than that, it’s totally the wrong film to show at this type of event. 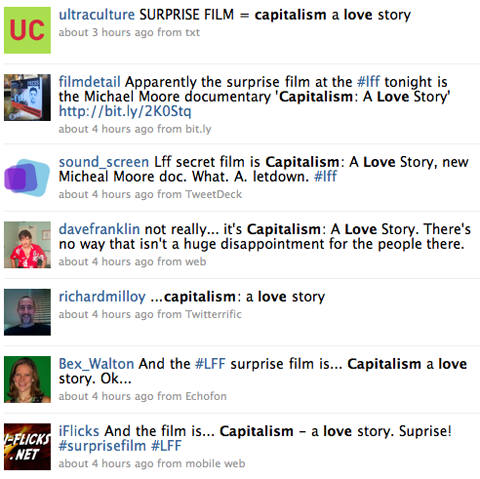 It’s the sort of film that everyone will end up seeing but no-one really cares when they see it. I could happily have waited for DVD. There were audible sighs when the title card came up and quite a few people left right off the bat. The Surprise Film should be something you boast about right up until its release. This is just something you forget about. EVEN THE TWEETING WENT BADLY.